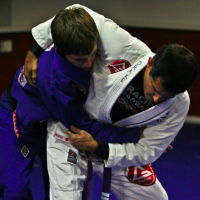 Not so long ago, many people would see jiu-jitsu as an elitist and predominantly male sport. 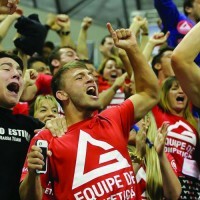 The most important events were – in general – held on Brazilian soil, with a more regular attendance in the Southeast region (mainly in Rio de Janeiro). Over the past 10 years, the sport has grown and expanded worldwide. Great championships started to be carried out in foreign territory and the women – how could we forget those warriors – day after day conquered their spaces in competitions. 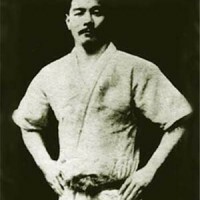 For them, in the beginning, there were very few weight divisions and no color belt separation. It was all the fighters together. At the time they were beginning to enter into competitions, many women also gave up. 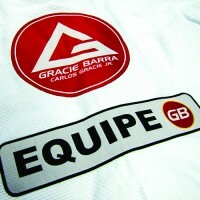 Without recognition, often without fight opportunities, let alone sponsorship. But there were those who fell in love with the sport. They knew they would have to face many other obstacles to take the jiu-jitsu ahead in their lives. And it was right in this period, about 11 years ago, that Joaquina Bonfim had her first contact with the gentle art. 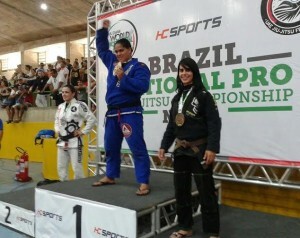 With a few months of training, this girl from the Brazilian state of Pernambuco was already entering in the championships battlefield. “Many times I would go to neighboring states to fight. I got there and there was no fight for me. It was frustrating. But I kept going. With some friends’ help, people who always believed in my potential, I could travel to Rio de Janeiro and Sao Paulo to compete. Most of the time, I would come back with a medal,” said Joaquina. 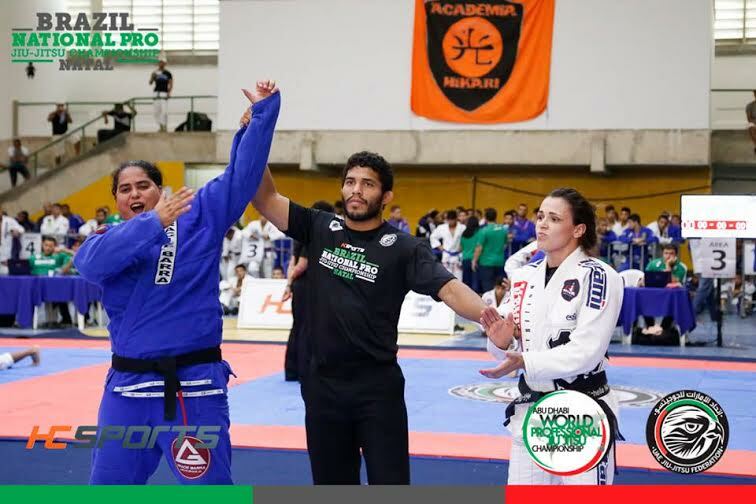 Like any real champion, this black belt from GB Pernambuco sees the values ​​transmitted at her school as the pillars for her encouragement, “It’s not easy to explain, but let’s try: Imagine that Gracie Barra is a platform over a gentle art fountainhead. 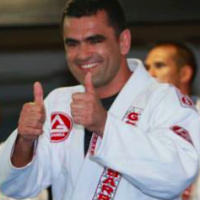 It’s like this: you start training and soon you’ll be expanding what you learned as if draining from a huge “water table” of the most genuine Jiu-jitsu that exists. That’s how I see it. That’s how I feel. And all that sharpens my will to compete,” said the category and absolute champion at the Abu Dhabi selective (UAEJJF) in Natal/RN/Brazil. Reading the black belt’s words, you would imagine that she lives on the mats 24 hours a day, right? Not quite. She combines her meals, workout, kimono training, college at night and a physical education internship, all within as few as 24 hours in a day (phew!) Despite this hectic routine, in 2014 Joaquina took the podium in every competition she joined. 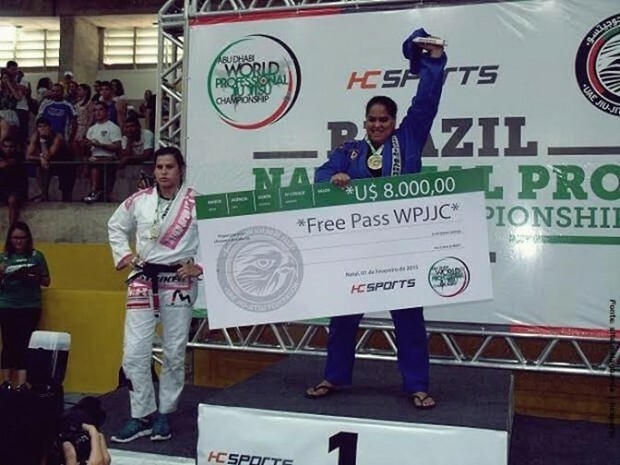 All the effort was worth it: she got the bronze medal in Abu Dhabi World Championship (UAEJJF) Sao Paulo selective, silver in the Brazilian Championship (CBJJ), silver (in her category) and bronze (absolute) in the Brazilian No-Gi Championship (CBJJ), gold (category) and bronze (absolute) in the South American (IBJJF) and, of course, the achievement that could not be missed: gold in the Abu Dhabi selective in Natal. Although she has great titles and numerous medals, the reality faced by Joaquina within the sportive BJJ world is just the same as thousands of fighters around the world: lack of sponsorship. With confirmed presence in the Emirates – in April/15 – the black belt does not let her daily tasks fall aside. “Despite the difficulties, I keep training hard. I’m battling a lot for a sponsorship. My biggest problem was leaving my internship in Physical Education, in a children’s school, to train twice per day. 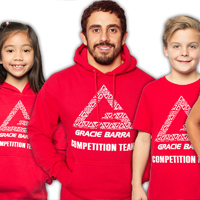 The “combats” prior to the actual competitions, all the “off-mat” things, are often more difficult than the fights against my main opponents. 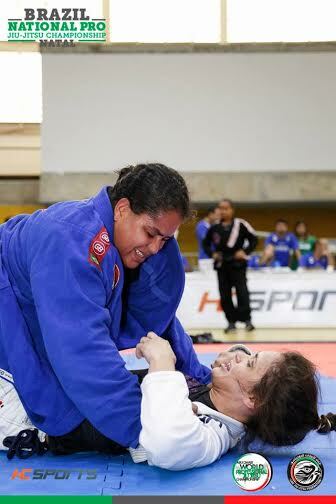 Today, my biggest goal is to become a full-time competitor, so that I can show how far my Jiu-jitsu can take me,” revealed Joaquina Bonfim. Stories like this serve as inspiration and motivation for many other athletes who face this same reality. 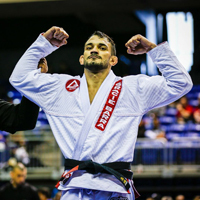 Without government support, with the help of family and, often, friends, these men and women, warriors of the mats, keep fighting, dreaming of the day when jiu-jitsu will be recognized and its practitioners duly valued as they should be.